Looking to fill a key role at your startup? Be narrow-minded. It's natural to want to pursue a blanket approach to hiring - using giant job sites like Monster or CareerBuilder. After all, you want to get the most bang for your buck, right? But new research suggests that companies looking to fill specific positions tend to more frequently use sites that tout narrower results. 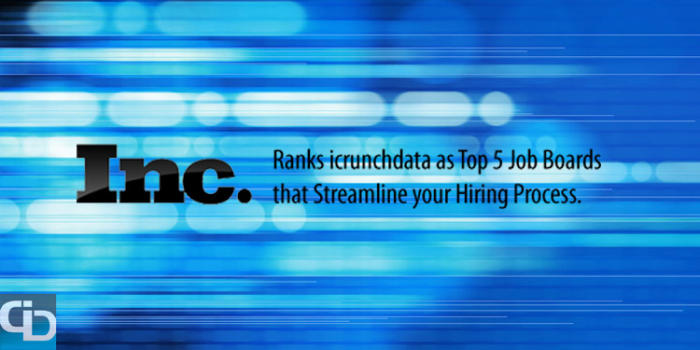 What it is: Crunchboard is the official job board of the TechCrunch Network and offers access to technology and business savvy readers of websites like TechCrunch, CrunchGear and MobileCrunch. Who it attracts: Technology minded candidates with a thirst for startup and technology news. Mobile engineers, business managers and research and software engineers are some of the specific jobs normally posted on the site. Cost: One job posting costs $200, five costs $895 and a ten pack goes for $1,495. What it is: Coroflot is a job board for designers who not only seek openings on the website, but can also post their projects and images. Since it's launch in 1997, Coroflot has grown to host more than two million images and 150,000 projects published every month. Who it attracts: Designers of all kinds including people who specialize in 3D modeling, animation, exhibit design, marketing, game design and set design. Cost: One job posting costs $275, three costs $242 each and five costs $220 each. What it is: Health Callings, formerly named, AllHealthcareJobs, is focused on healthcare professionals only and boasts more than one million members. Who it attracts: Health Callings provides job opportunities to nurses, physicians, occupational therapists, surgical technicians and lab technicians among others. Cost: One posting costs $295, two costs $275 each and three costs $265 each. What it is: A job board focused on big data, analytics and technology professionals.Started in 2003, the website partners with larger search engines and recruiters like Simply Hired, LinkedIn, Facebook and Google. Who it attracts: Data analysts, data architects, business analysts, statisticians, software engineers and cloud developers, among others. Cost: One job posting a month costs $595, five per month costs for $695 and unlimited postings for one month go for $795. What it is: Mashable's Job Board, caters to creative and media professionals, and it includes levels that range from interns to executives. More than 3,000 employers use the site and it recently redesigned the interface, so job seekers can now create profiles, sign up for job alerts and search from mobile devices. Who it attracts: Bloggers, digital designers, reporters, web analytics analysts and network engineers among others. Cost: One job posting costs $249, three costs $229 per posting and five costs $219 per posting. Original article written by Carolyn Cutrone — Published on Inc.